Been a while since I have put anything on this forum, but I have been trying to absorb as much info as possible. Great and intelligent group of guys on here for sure. 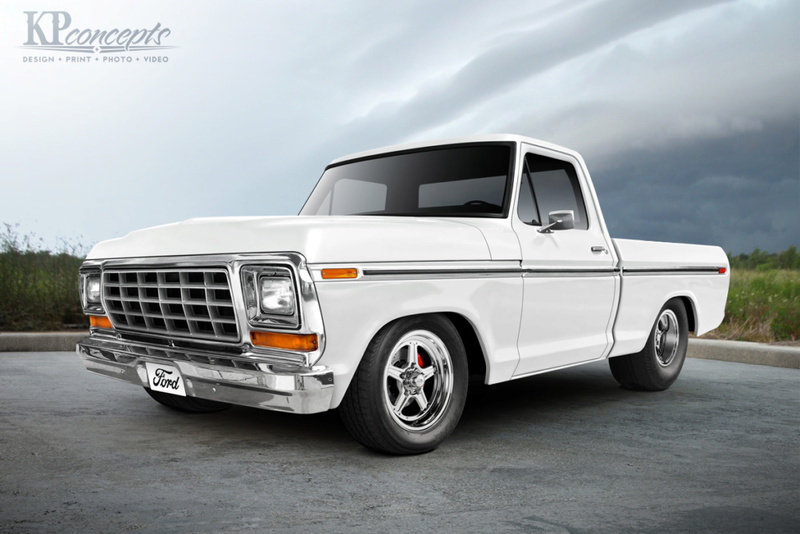 I am in the process of building a 1979 F150 for drag week and got the rendering done a few months ago. As of now the only things set in stone concern the chassis and aesthetics. Going to start building the motor this winter. Will be asking a few questions in other parts of the forum concerning that, but for now the plan is a P-51 or AFR headed 514 on pump gas. Goal for the truck is 10.9X on pump gas and later down the road I would like to see the truck boosted. Anyone else on here hard headed enough to try and race pick ups? Have a foxbody I have had since I was in highschool that at some point will transition to a big block, but for now the small block nitrous combo will have to do. Bad A** Looking Truck and Fox Body keep us posted on how they both run!!! Now that is nice !!!! 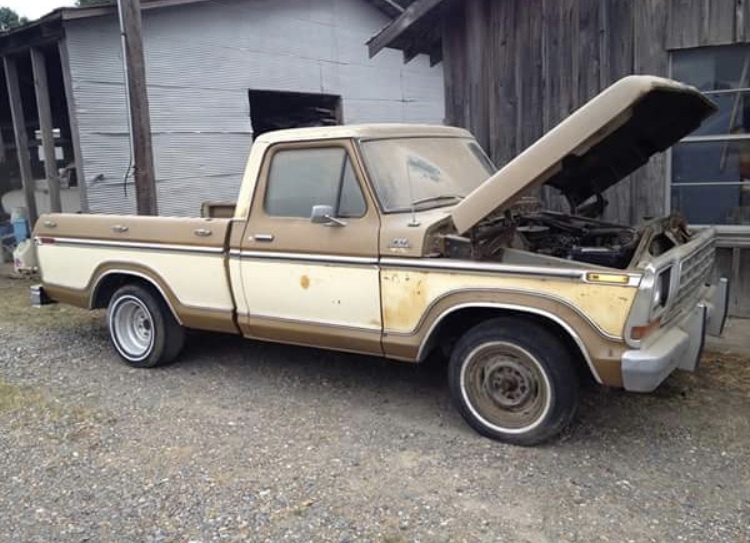 Here is my buddy Earl Schexnayder's twin turbo carb BBF F150. It ran low 9's on the 09 drag week IIRC. Btw your rendering is awesome. I like the 79 the best. Here is my turd. 95 F150, 514, A429 heads smallish cam, methanol injected. Video below was taken last year. Still sorting it out. HorsinAround wrote: Here is my turd. 95 F150, 514, A429 heads smallish cam, methanol injected. Video below was taken last year. Still sorting it out. off topic but what headers did you go with and what trans? Maddog headers. Took my truck to him so he could use it to make a pattern, then I got the first set. Transmission is a full built C6 that I did using the information from Frank Merkle and Bad Shoe Productions, and Broader performance. I haven’t been on here for awhile either. Was a few other truck guys too but some can’t resist the temptation to put the motor into something lighter lol. 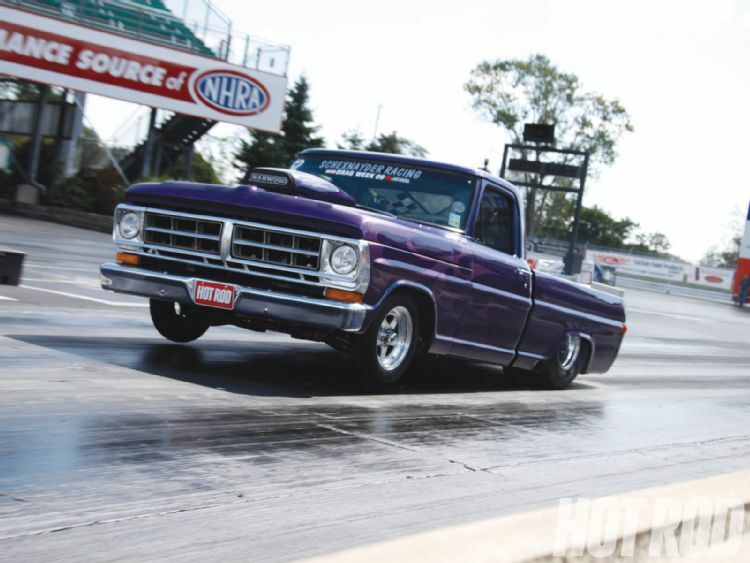 A lot of people make the big mistake of out-powering the vehicle; especially in a "Drag Week" situation where one has to drive that vehicle from track to track. Make SURE the VEHICLE is up to the task of whatever is powering it. Thanks for the compliments guys. The mustang is a low 9 second car with an old iron headed small block on one kit. The truck's chassis should be safe into the 9's as far as handling power, but not wanting to cage this truck until it is an absolute must. 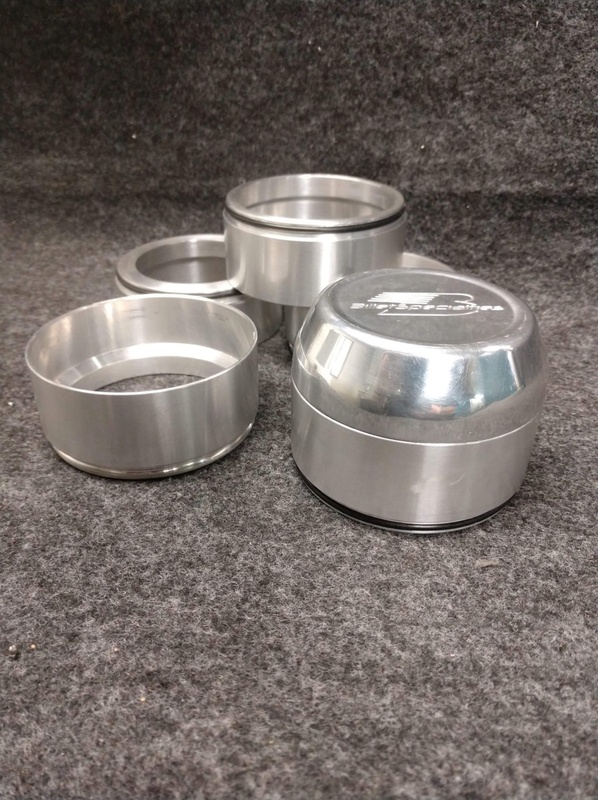 The truck will have Calvert mono leafs and Calvert bars also for rear suspension as well as a relocated shock set up with double adjustable shocks. Still planning out the front shock set up but it will all stay stock style. Runs 5.70's in the 1/8th,......8.90's in the 1/4. Currently has a 14.5:1, 598" engine,....that I'm hitting it with a 100 shot of N2O, in conjunction with a C-6 Transmission. 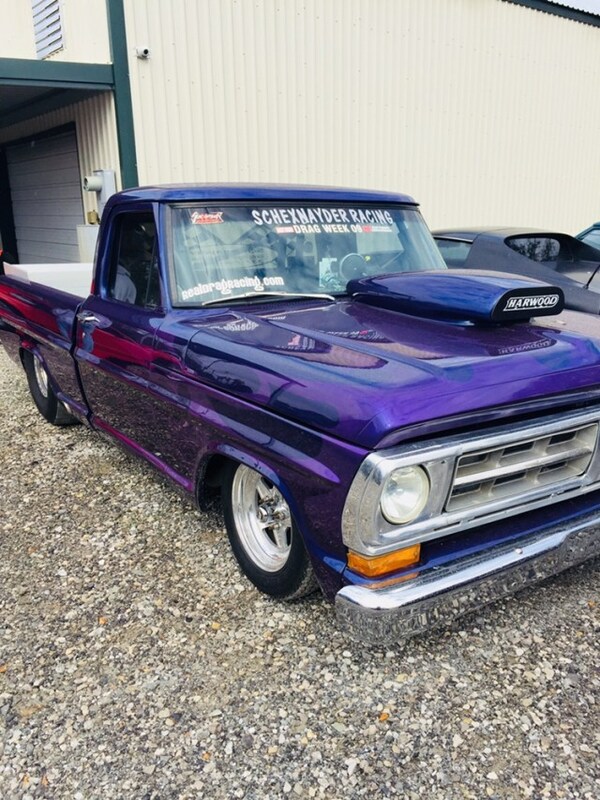 Long term goal is to drop my compression around 11:1,.....hit it with a lot bigger shot of nitrous to make up for the power difference and change to a 4L80 overdrive trans,.....so I have the ability to compete in some True-Street events,...and one day possibly do Drag-Week. If I can get it to go mid 8's,....and be able to still hit the streets,....I'll be satisfied. foxbody82 wrote: Thanks for the compliments guys. The mustang is a low 9 second car with an old iron headed small block on one kit. The truck's chassis should be safe into the 9's as far as handling power, but not wanting to cage this truck until it is an absolute must. 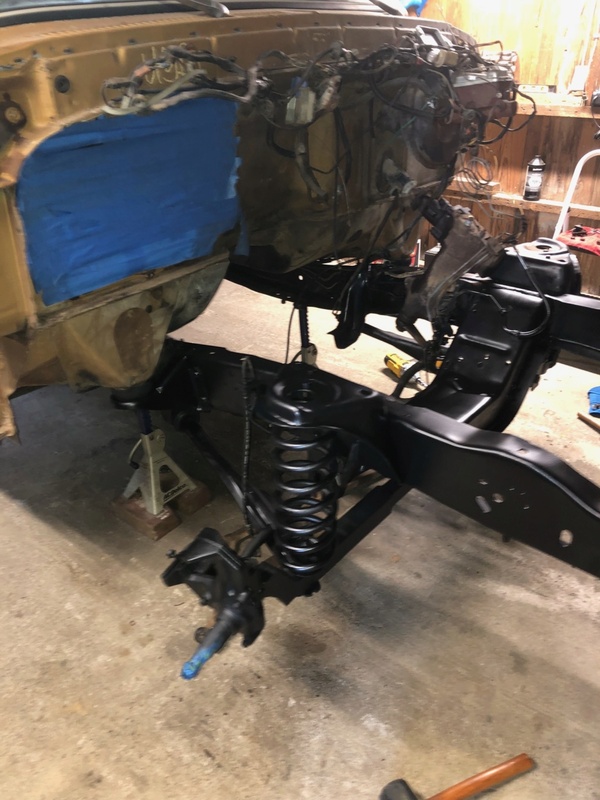 The truck will have Calvert mono leafs and Calvert bars also for rear suspension as well as a relocated shock set up with double adjustable shocks. Still planning out the front shock set up but it will all stay stock style. We did a Crown Vic front end and it is awesome. Tight steering, great brakes and it rides so dang nice. It's a little work, but I love it. I want to stay with the stock stuff for class restrictions down the road even though a crown vic was very tempting. Copperhead that is a very sharp truck. 4 link or ladder bar rear set up? 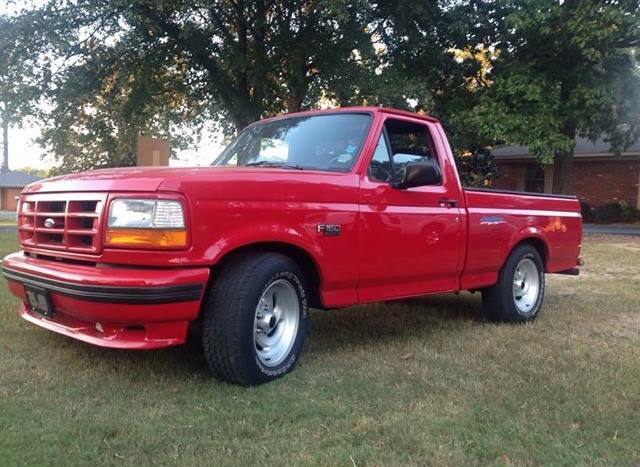 My first ride was a red 93' lightning and I have had a few others along the way so I have a soft spot for first gens. 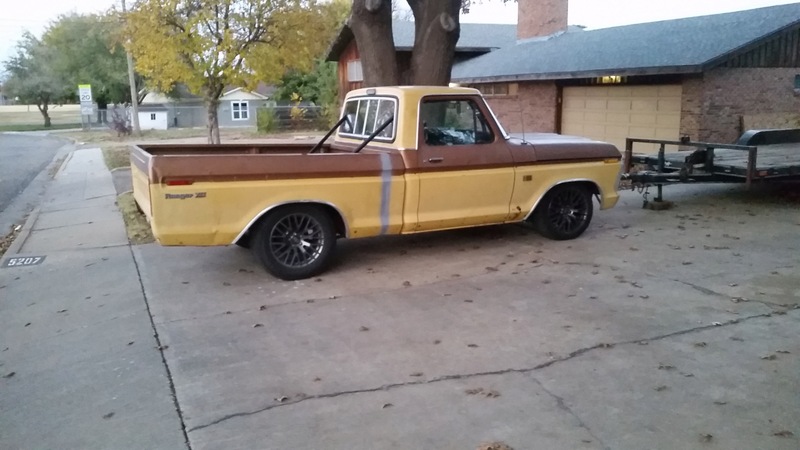 My dad actually bought my first truck back a few owners and some years later so its back in the family. My truck will have a well built C4 with a gear vendors. Down the road I can see it getting a 400 with the gear vendors if I can't keep a C4 alive in it. foxbody82 wrote: Copperhead that is a very sharp truck. 4 link or ladder bar rear set up? I have 36" Ladder Bars & double adj shocks in the rear. foxbody82 wrote: I want to stay with the stock stuff for class restrictions down the road even though a crown vic was very tempting. I've raced a LOT of truck events,....and I'm pretty sure the Crown-Vic front end would be "ok" in most peoples eyes. One of the best things I did was ditching the original twin I-Beam stuff up front. It flat out sucked for Drag-Racing. 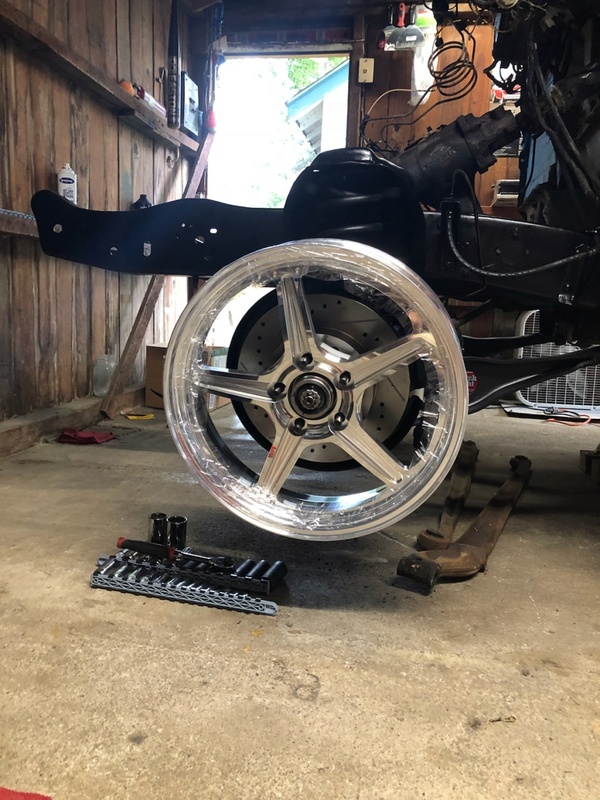 I went to an AJE K-Member with Mustang II Rack & Pinion, and Fox-Body style struts & brakes. All bolt-in stuff. foxbody82 wrote: My truck will have a well built C4 with a gear vendors. Down the road I can see it getting a 400 with the gear vendors if I can't keep a C4 alive in it. The C-4 will "work", but it'll be less than ideal,.....especially if you make any significant HP/TQ. When you combine the added weight of these trucks,....with a certain amount of power,.....the clutches in the C-4 have a hard time holding up. I run a C-6 and I don't have any issues what-so-ever. 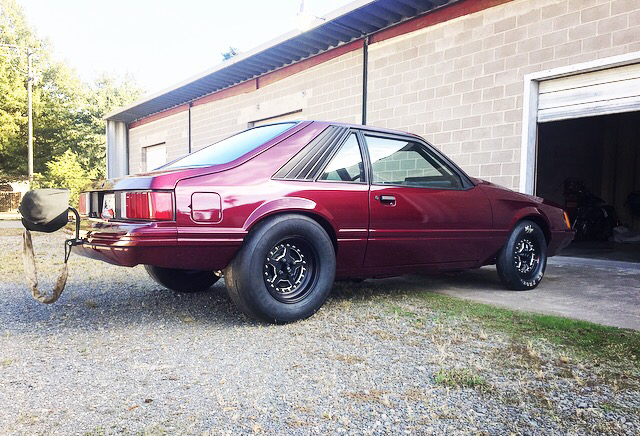 foxbody82 wrote: Been a while since I have put anything on this forum, but I have been trying to absorb as much info as possible. Great and intelligent group of guys on here for sure. 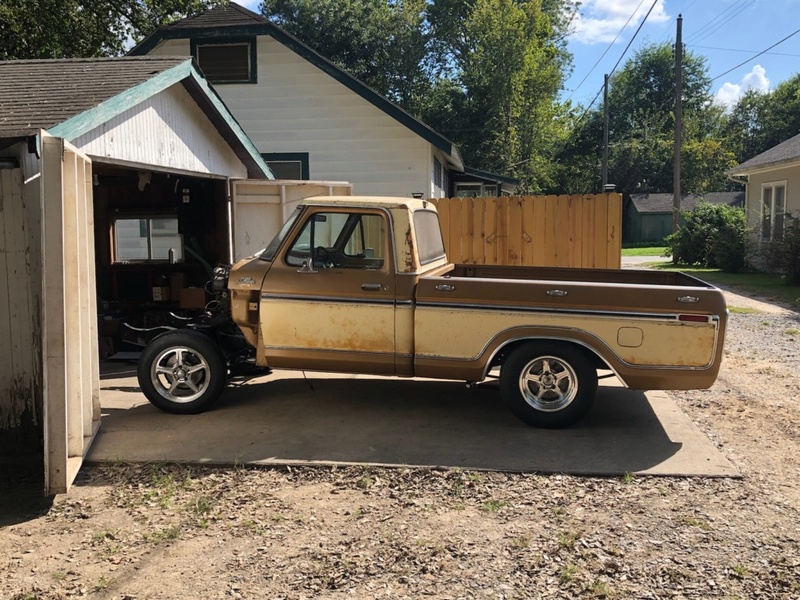 I am in the process of building a 1979 F150 for drag week and got the rendering done a few months ago. As of now the only things set in stone concern the chassis and aesthetics. Going to start building the motor this winter. Will be asking a few questions in other parts of the forum concerning that, but for now the plan is a P-51 or AFR headed 514 on pump gas. Goal for the truck is 10.9X on pump gas and later down the road I would like to see the truck boosted. Anyone else on here hard headed enough to try and race pick ups? Have a foxbody I have had since I was in highschool that at some point will transition to a big block, but for now the small block nitrous combo will have to do. Nice truck . 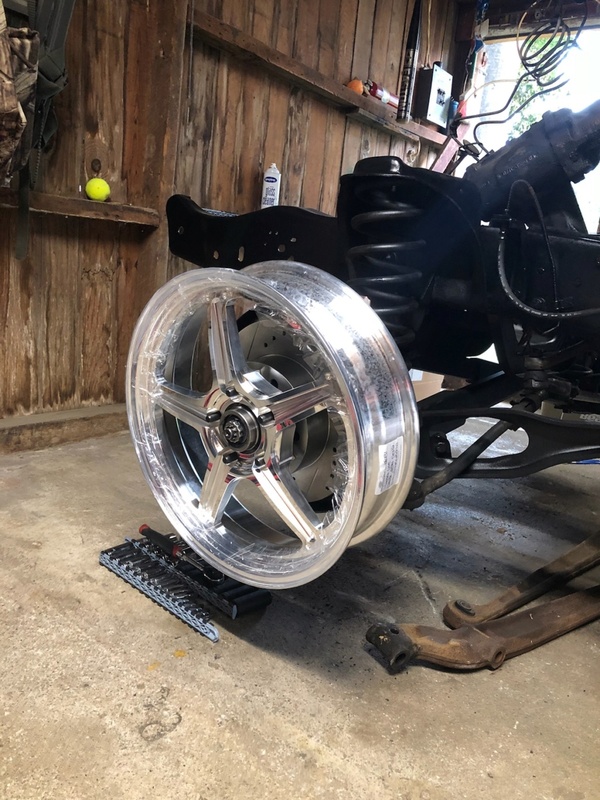 514 pump gas deal with a well thought out built c4 will be fine but I suggest a AOD with 4R70 internals with a good trans brake valve body and that would be more ideal for drag week. Just checking in on this. 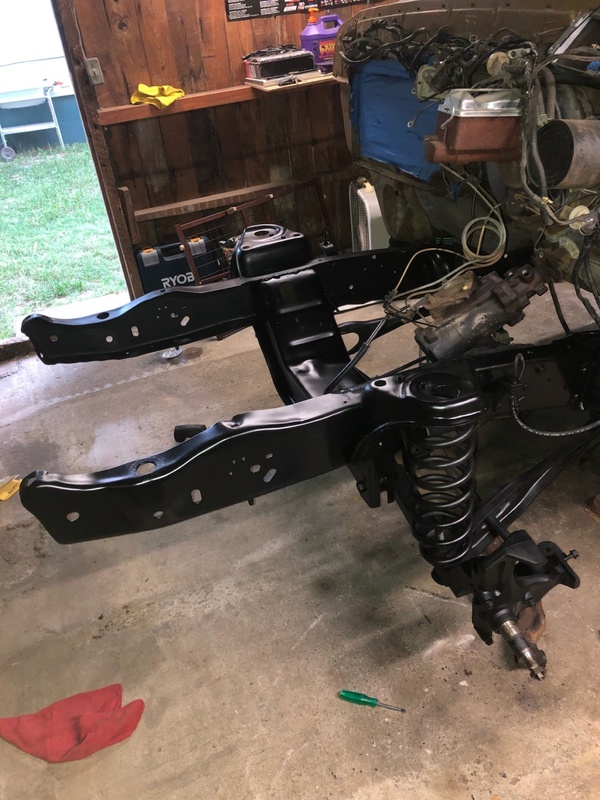 The truck is still in the works and the chassis is coming together well. The motor and transmission programs have both changed since last posting, but overall it will be a very fun ride for these true street style events. Building a pump gas A460 headed 598 and putting a TH400 with a gear vendor behind it. Cam will be a tight lash billet solid roller with a morel bushing lifter. Hoping the tight lash and the correct spring keeps the valvetrain happy and fairly low maintenance. The 10.9X goal has been lowered quite a bit, but not quite sure where it will end up NA. Mid-Low 10's would be expected depending on how hard I push it and how mild we make the cam. Motor should be done around May and then it will be off to chassis prison to have the headers done and a few other safety upgrades. Hoping to make Dragweek 2020 and to run Street Race Big Block NA, but plan to be road testing it and making passes next spring. Roughly March-April 2020. Here are a few progress pictures I had readily available. Will be adding some detailed pictures over the next few days. This is the day we found it and got it out. A few pictures during the tear down and after cleaning the chassis up. It is currently setting how it is shown in the last image. 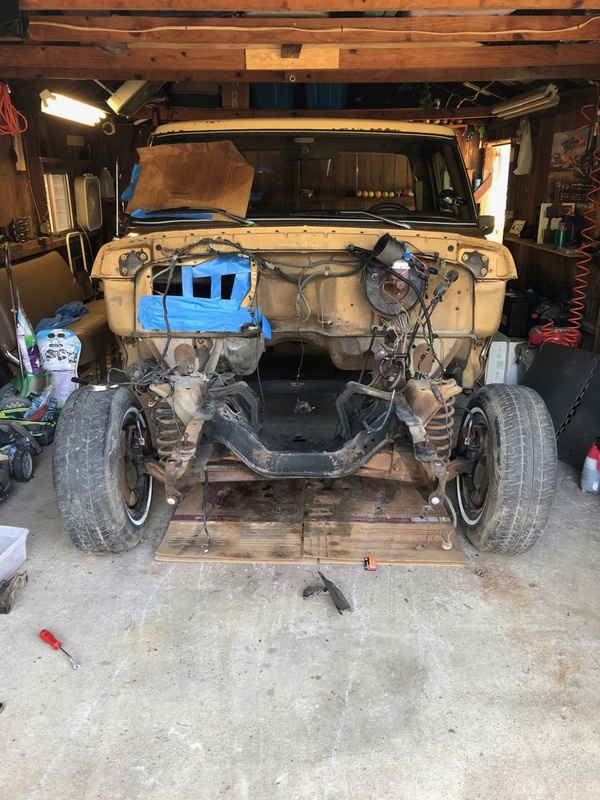 It will not have the front clip replaced until the motor is set in place. 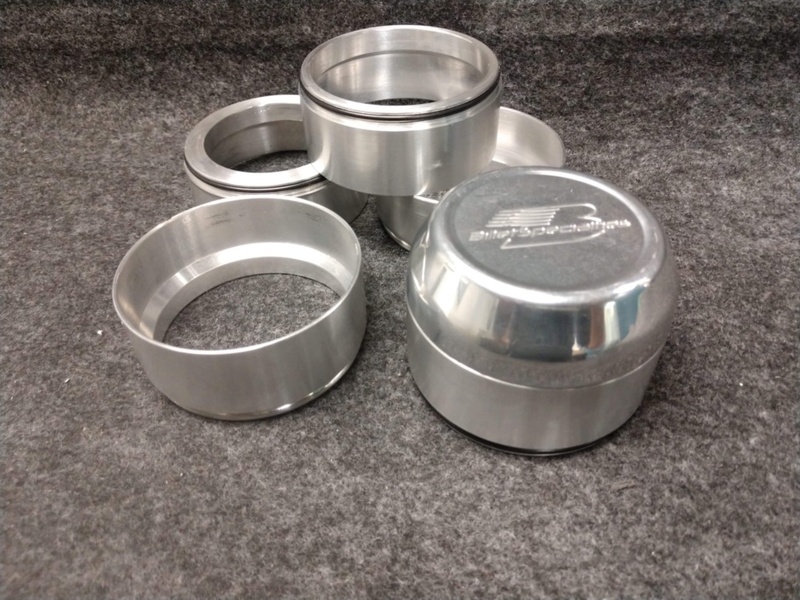 Here are some nice spacers that were made to allow the use of the billet center cap. 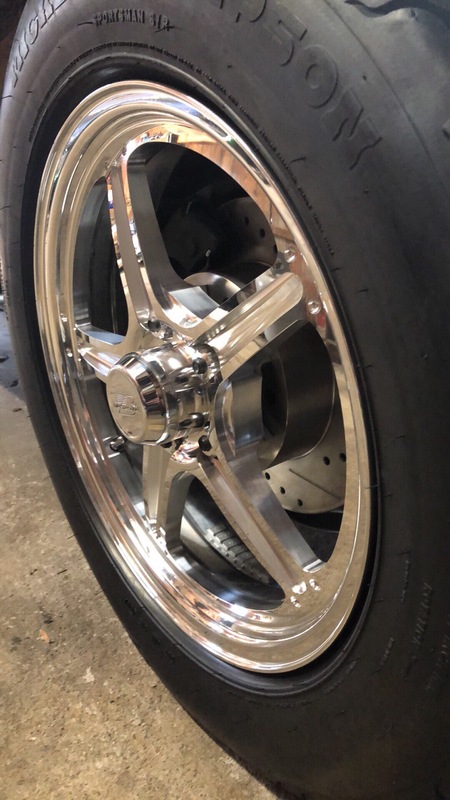 Going with a 17" front made for some headaches over the 15" with the bolt on center cap. 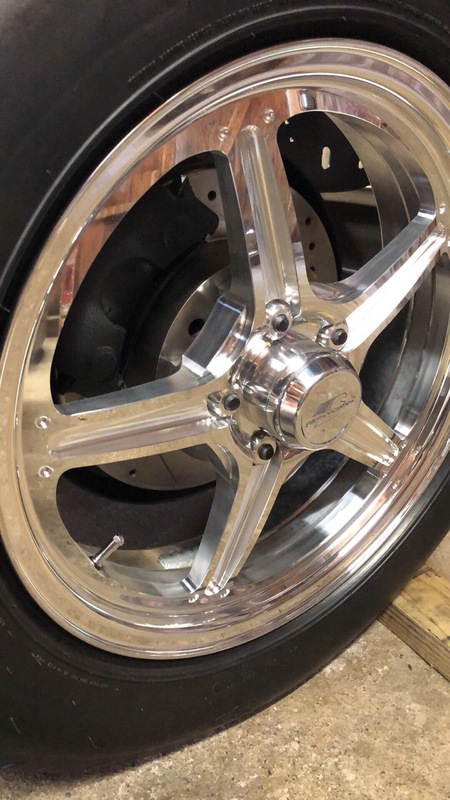 After Polishing I think they really made the wheel package look better. Debating on welding them into a one piece cap, but for now the O-ring on both parts work well.